LECTURE I.INTRODUCTORY—THE FOUNDATION OF JURISPRUDENCE. 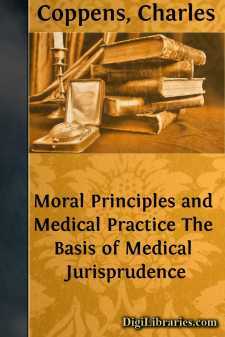 The study of medicine is one of the noblest pursuits to which human talent can be devoted. It is as far superior to geology, botany, entomology, zoölogy, and a score of kindred sciences as its subject, the body of man, the visible lord of the creation, is superior to the subject of all other physical sciences, which do so much honor to the power of the human mind; astronomy, which explores the vast realms of space, traces the courses and weighs the bulks of its mighty orbs; chemistry, which analyzes the minutest atoms of matter; physics, which discovers the properties, and mechanics, which utilizes the powers of an endless variety of bodies—all these noble sciences together are of less service to man than that study which directly promotes the welfare of his own structure, guards his very life, fosters the vigor of his youth, promotes the physical and mental, aye, even the moral, powers of his manhood, sustains his failing strength, restores his shattered health, preserves the integrity of his aging faculties, and throughout his whole career supplies those conditions without which both enjoyment and utility of life would be impossible. The physician, indeed, is one of the most highly valued benefactors of mankind. Therefore he has ever been held in honor among his fellow-men; by barbarous tribes he is looked upon as a connecting link between the visible and the invisible world; in the most civilized communities, from the time of Hippocrates, the father of medicine, to the present day, he has been held in deeper veneration than the members of almost any other profession; even in the sacred oracles of Revelation his office is spoken of with the highest commendation: “Honor the physician,” writes the inspired penman, “for the need thou hast of him; for the Most High hath created him. The skill of the physician shall lift up his head, and in the sight of great men he shall be praised. The Most High has created medicines out of the earth, and a wise man shall not abhor them. The virtue of these things is come to the knowledge of men, and the Most High has given knowledge to men, that He may be honored in His wonders. By these He shall cure and shall allay their pains, and of these the apothecary shall make sweet confections, and shall make up ointments of health, and of His works there shall be no end.” (Ecclus. xxxiii. 1–7).